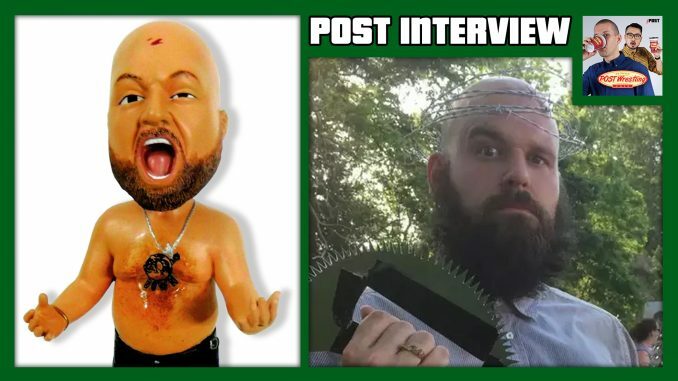 POST Interview: Damian Abraham from "Turned Out a Punk"
We have a special bonus show up with Damian Abraham stopping by for an in-studio chat with John Pollock. The two go off in many directions, including Damian’s yet-to-be-released wrestling documentary series, spending a day with Atsushi Onita, going to the home of Rossy Ogawa, the spectacle of WrestleMania Weekend and where the growth potential lies for non-WWE promotions, talent crossing over outside the industry, tape trading, road stories with Fucked Up & more. Listen to Damian’s podcast Turned Out a Punk, including Episode 101 with Zach Bair of Rise Against and Episode 200 with John Pollock & Wai Ting.